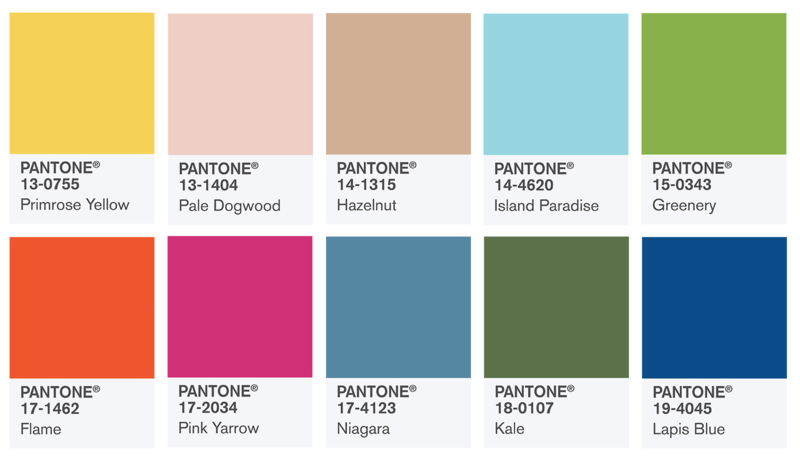 NZ's widest range of cosmetic colours available on line. Keep watching this space, as the range is always increasing. From 18 colours in 2009 to over 80 colours in 2016! The word "mica" is thought to be derived from the Latin word micare, meaning "to glitter", in reference to the brilliant appearance of this mineral (especially when in small scales). There are different grades of mica - our mica is Cosmetic Grade. Mica is a natural product aka potassium aluminum silicate dihydrate, that is mined. 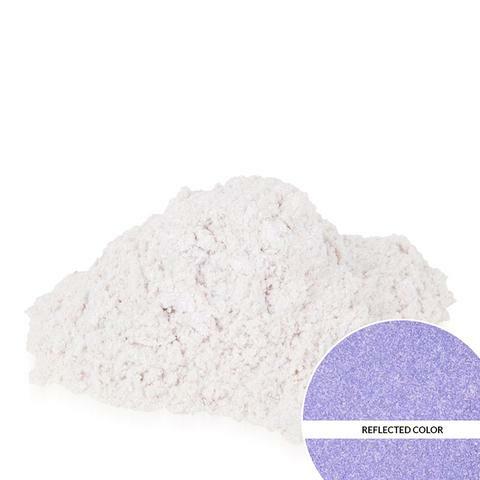 For cosmetic use, the individual mica (which looks like a platelet) is coated with FD&C colorants, or pigments, or a combination of both to achieve the colorant. The dual sided color is what causes the shimmer and sheen of micas. Mica is exactly the same stuff you see in your lipstick, eye shadow and blush. Micas work best in clear products, like clear melt and pour, because the shimmer needs light in order to reflect and refract nicely. The great part about using micas in cold processed soaps is that they don't clump at all. The colors are so smooth and wonderful to work with. However, because of the opaqueness of CP soap, a lot of mica is required to get a sheen to show through, and because they are FD&C coated, the colour can bleed off the mica, so my recommendation is to not use a contrasting colour unless you like the swirl effect of it bleeding out. Our micas are sold by weight- not volume - so you're getting the most for your money! 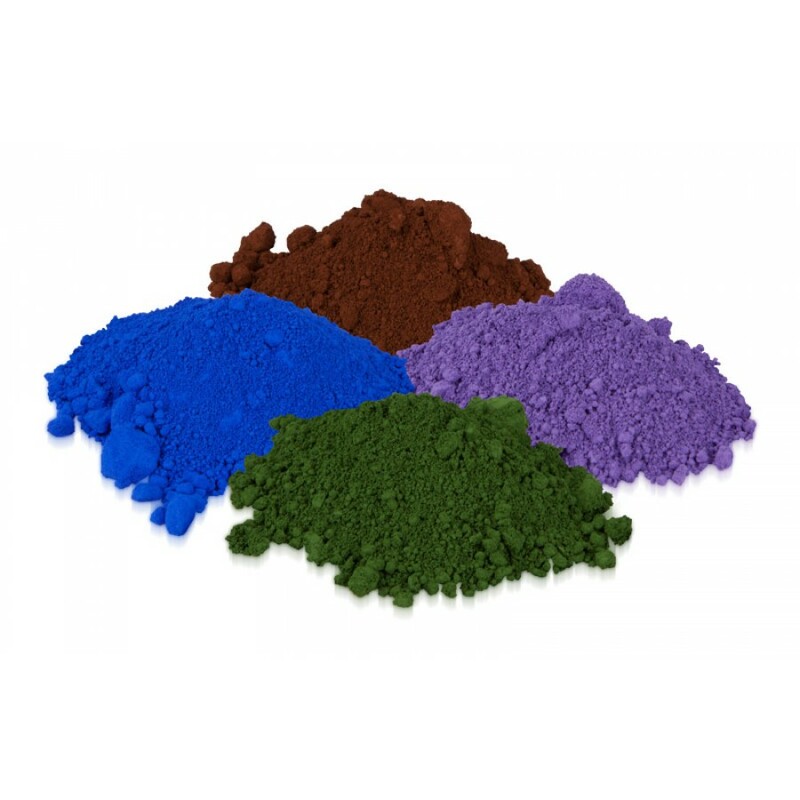 Since many micas and pigments are very light, it often takes a 30 or even 60ml container to fit 5gm, by weight into. Also, we package in a wide mouthed jar, as we feel it is easier to dispense from than a narrow necked container So, remember, when you're comparing costs, make sure you ask whether the product is sold by weight or volume. 5gm goes a long way with using melt and pour and cosmetics. For every 5gm & 10gm mica we will enclose a small scoop (0.15ml). We do not stock any micas that use Lake colours. 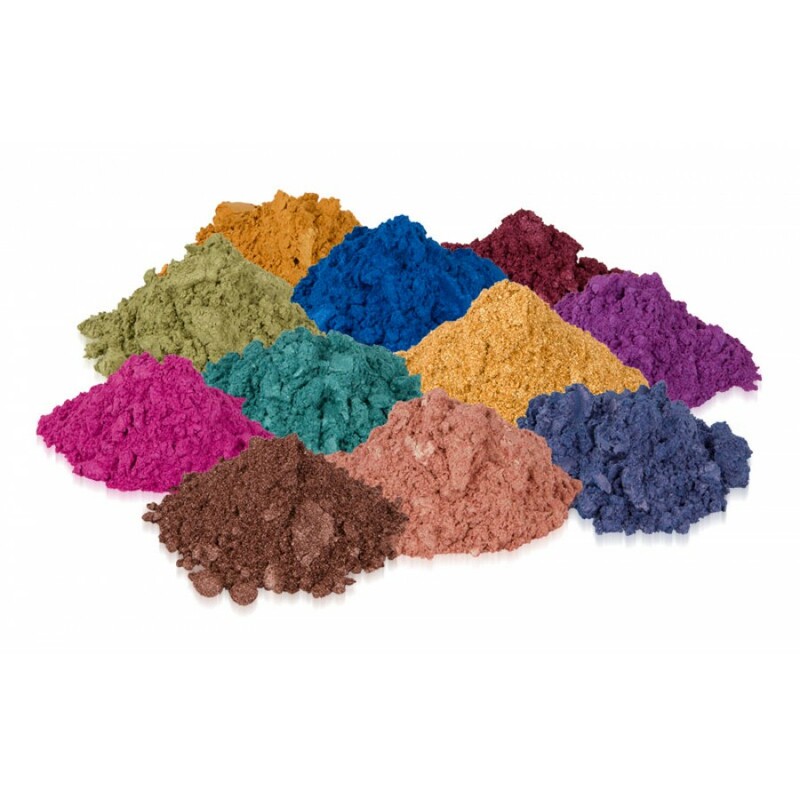 Cosmetics - always start with a scoop, blend colours together first before adding to fillers or our premixed bases. Melt & Pour, we recommend about 1/2 a teaspoon per 500g to achieve a pretty, strong pearlescent effect (like a polished paua shell). For micas in a melt & pour opaque base, 1.5% to 4% of the total weight to achieve an effective colour, however micas work best in clear soap. Remember, light is needed for the true reflective qualities of the micas to work properly. Micas do work in cold process soap, barely, as there is no light for reflection (since cold process soap is opaque). To use it in cold process soap, Brambleberry recommend you use 2 tsp. per 500g of soap to achieve a good colour. Simply add the mica directly to the soap and stir. Make sure you add it at very thin trace so that you have enough time to stir the colorant in. Micas are relatively simple to use. Simply add the powder to your melting soap base, wait for your base to melt and stir the micas in. If pesky little "mica bubbles" float to the top, spritz them with a bit of rubbing alcohol and you'll see them burst open. Just stir everything in until the mica is well incorporated, then add your fragrance. I've also been know to blend the mica with my essential oils and then swirl it in to the liquid soap, which also has a pretty effect.